I've just purchased a 2016 RS3 Nardo Grey. 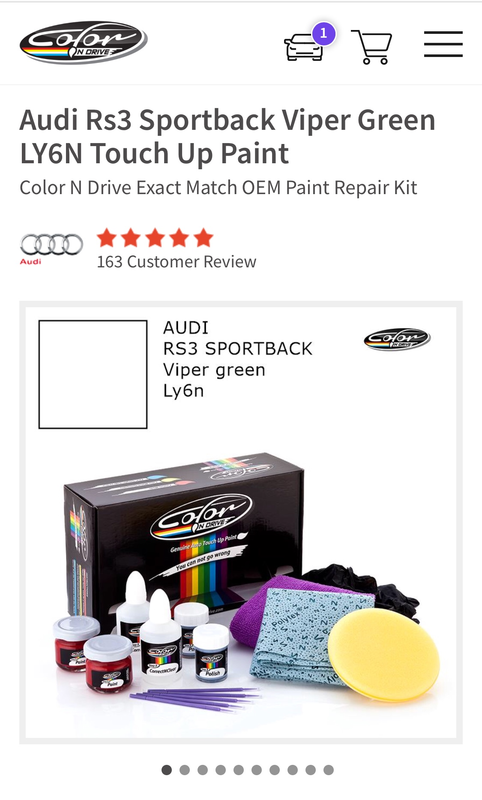 Audi UK don't appear to do a touch up paint for some reason. Can anyone recommend a place to purchase online? 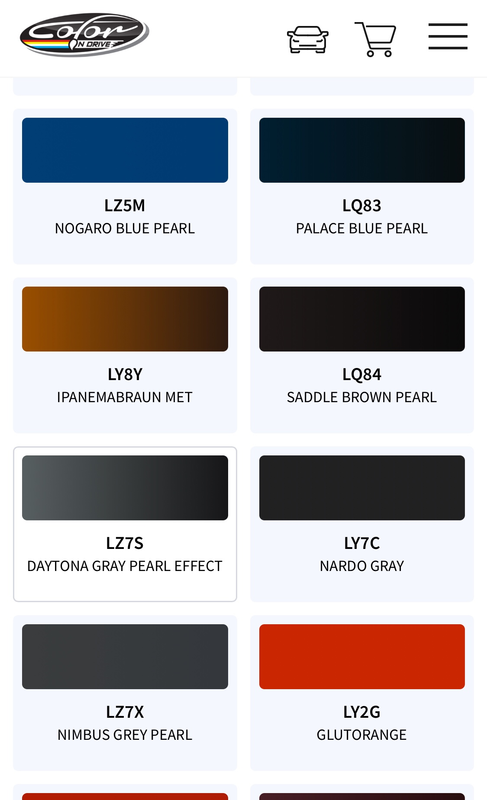 The paint code is LY7C. Try our parts request system Paul. Call Bridgend Audi in South Wales. They had Nardo made up special for a customer that is on here, worth a try. I hat the same issue as yourself,even with the same colour. Believe it or I got it from Halfords as they made it up there an then,spot on it was. I've just purchased a 2016 RS3 Nardo Grey. Audi UK don't appear to do a touch up paint for some reason. There is no paint, it's only primer, that's why! AB RS3, billymc92, Dan_DJT and 2 others like this. Speak to Tom fox Crewe Audi, he sorts me out parts and also a touch up kit for my sepang blue. @creweaudiparts Are you able to offer the new Nardo paint yet? @Phil3 yeh i can! On "back order" from Germany so would be around 7-10 days to arrive.£15.00 posted. I'll have a Nardo touch up pen for £15 posted please. @D0C drop me a pm. They don't do Viper Green either.. Anyone tried this kit on their car? A lot of high end detailers use their products and I'm curious to know what folks experiences are using it? I might go for this rather than the Audi paint kit. Yep, I ordered some Nardo and have been waiting a while now. I’ve used these on last 2 cars. I’ve used it, it’s not bad maybe a bit flatter than normal paint. The kit as it arrives is a nice package, I didn’t apply it my detailer did. For a small stone chip, you will be happy. I however complained as my detailer said it was poor and got a refund. I’d need about 6 bottles now to fill my stone chips. Sorry still no date on the touch ups! We have 5-6 on order for various customers but Audfi dont have a date as yet. Any updates on this at all? Sandra and Phil3 like this. The 3 orders for the touch paint has now arrived and is being posted out today.Thanks to those members for there patience with this! Phil3 and Sandra like this. Received mine in the post this morning- thanks. Does the nardo grey touch up pen do the job? Or not worth it? Is Ara blue now available?